The Jasmine Revolution in Tunisia started it all. What began with a focus on economic plight quickly spread across the Arab world. Hundreds of thousands of people across the Middle East are demonstrating against their authoritarian leaders. The demonstrators said that their leaders are out of touch with their daily struggles. But public demonstrations are beginning to sweep across the world. On Tuesday, Belizeans citizens and community activists demonstrated in the nations capital against the government's decision to drill for oil in protected national parks and offshore drilling in the Belize Barrier Reef, an UNESCO world heritage site. 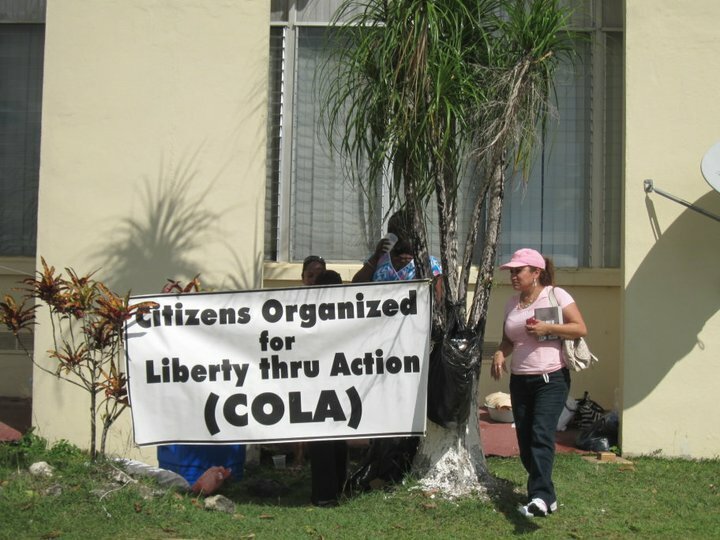 Yesterday morning, around ten o'clock, Citizens Organized for Liberty through Action (COLA) started a 24-hour demonstration in Belmopan. 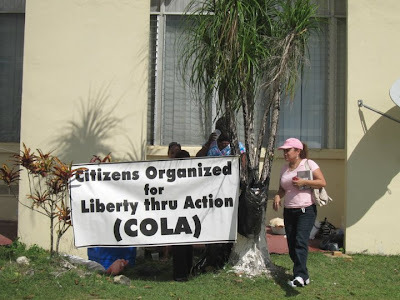 Members of the organization took up position outside the prime minister's office to protest against the government's slow response to COLA's request to halt oil exploration in Belize's protected areas and territorial waters. 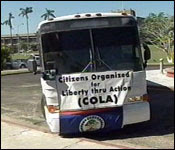 The vice president of COLA, Geovannie Brackett, said that the organization have three main points they would like to bring to the prime minister's attention. 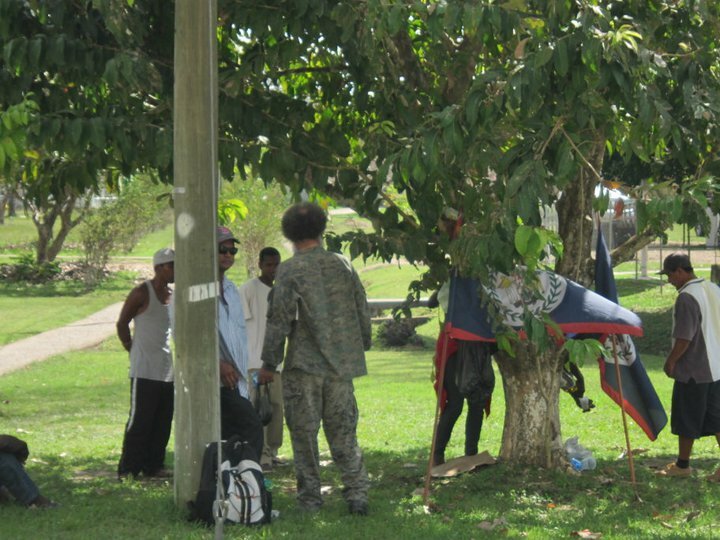 Joining the organizations were the members of Belizeans for Justice, and Nigel Petillo, President of the Belize Grass Roots Youth Empowerment Association and others. The Prime Minister sees a different kind of green...money green. He is even more stupid that I could have imagined. You have to be seriously insensitive to violate protected areas...that's what happens when you're locked up in an AC office all day, dealing with paper. Insensitive and $inister! I'm with no Political alliance, but I'm ready to vote this bunch out out out! I so happy to see that there is a group of Belizeans who are willing to provide leadership on behalf of the Belizean people. In order to make a stand, we have to join together in numbers and show the government the power is in the people. Wish I could be there to join them. Thanks for you comments! Belizeans need to get back to "Taking pride in our country"
We have to keep the politicians on their feet; they are working for us; we have to mind their business,not your neighbors business. Prime Minister Barrow always speak about accountability and transparency, but we have to demand it. They are being paid by the tax payer dollars!